This year’s Te Papa Little Penguin research programme was focussed at Motuara Island in Queen Charlotte Sound, just out of Picton, where there is a population of several hundred little penguins that breed between August and December. We deployed GPS trackers on adult birds throughout their breeding season to find out their main foraging areas. 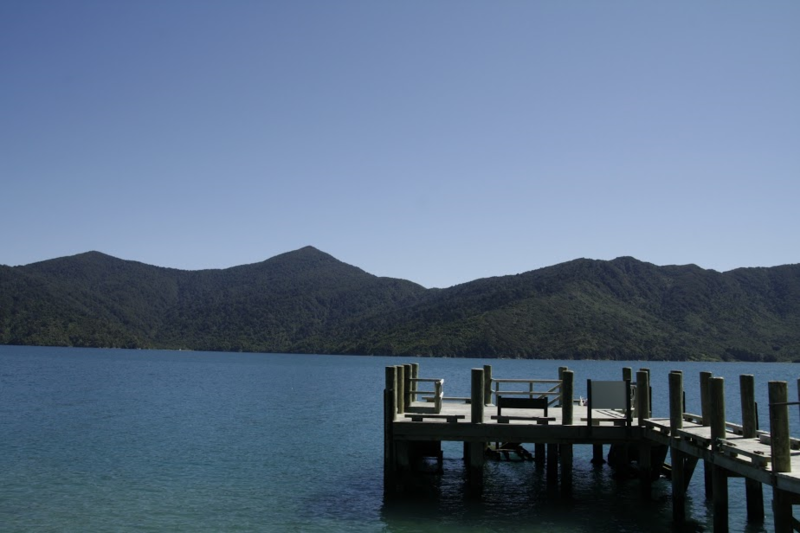 View of Ship Cove in Queen Charlotte sound from the jetty at Motuara Island. Photo: Adelie Filippi; copyright Te Papa. This year our team consisted of young researchers and budding scientists who were exploring what it’s like to do fieldwork in a remote location: no wifi, no TV, and no electricity. 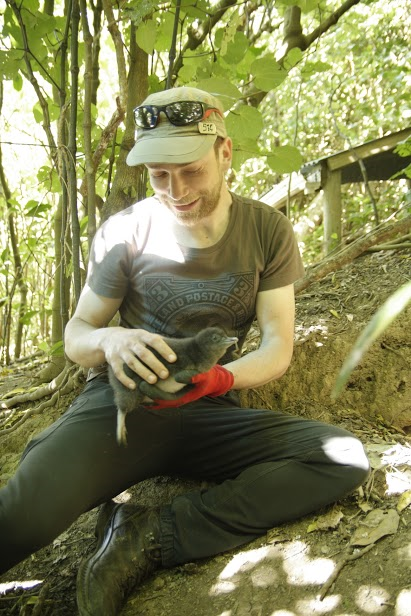 Te Papa researcher Tim Poupart holds a little penguin chick before measuring it. Photo: Adelie Filippi; copyright Te Papa. Tim Poupart led the team, and starts his PhD on penguin biology in 2016, in collaboration with French and Australian research groups. During the last week of our 2015 study, our jobs included weighing all the chicks to assess their age and body condition (weight, flipper length, degree of moult into adult feathers), as well as retrieving loggers deployed on adults during the chick-rearing period. 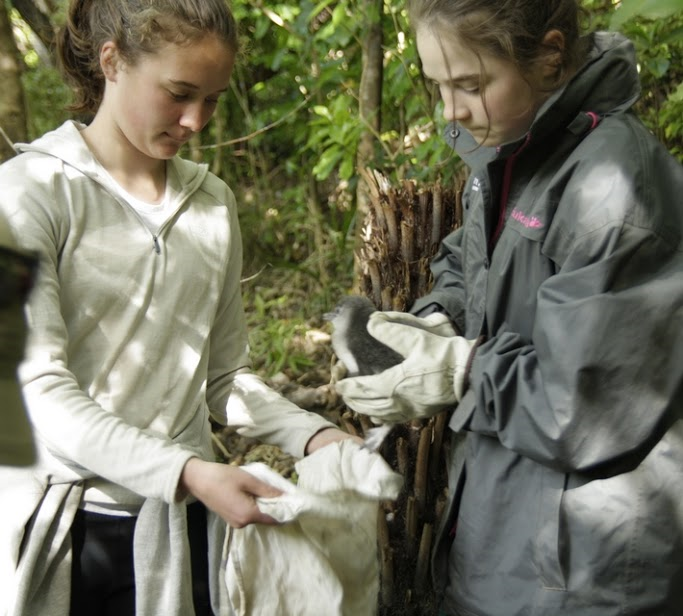 Wellington teenagers Arielle and Hannah helped out with the research by weighing chicks. Photo Susan Waugh; copyright Te Papa. Young scientists from Picton and Wellington joined the team this year and got to participate in the work. This involved a bit of camping, staying up till pumpkin hour to wait for penguin parents to return feed their chicks, and the chick Plunket-run. 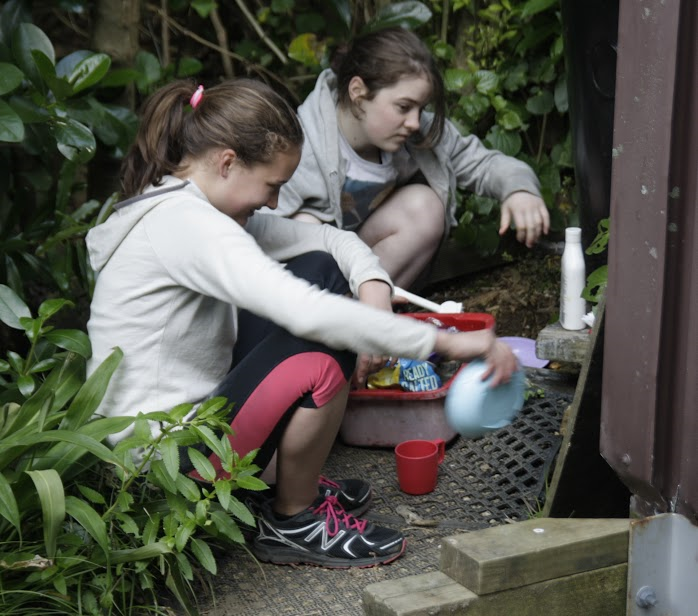 Camp duties at Motuara Island for our teen scientists. Photo: Susan Waugh; copyright Te Papa. The chicks in this year’s batch seemed rather bonny and heavy, and were altogether fairly chilled out, even seeming to quite enjoy seeing the outside world for the first time. 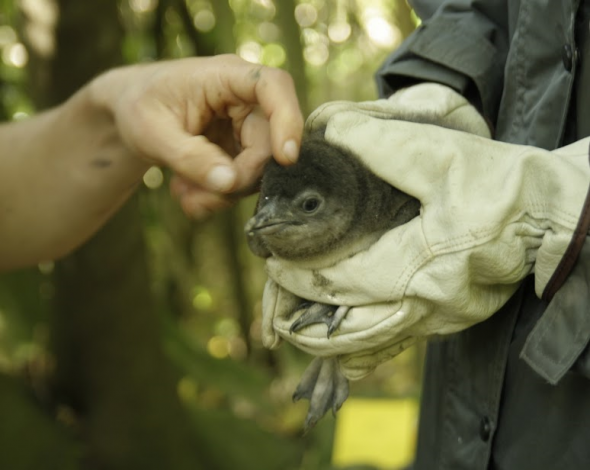 This little penguin chick was very calm and composed during the weight and measure session, and got a little tickle on the head on his way back to the burrow. Photo: Susan Waugh; copyright Te Papa. The field hut at Motuara Island makes the work much easier, and although we only seemed to get the cameras out in fine weather, it rains quite a lot there, and the large tarpaulin over the outdoor area makes it a great place to spend outdoor time, but out of the rain. 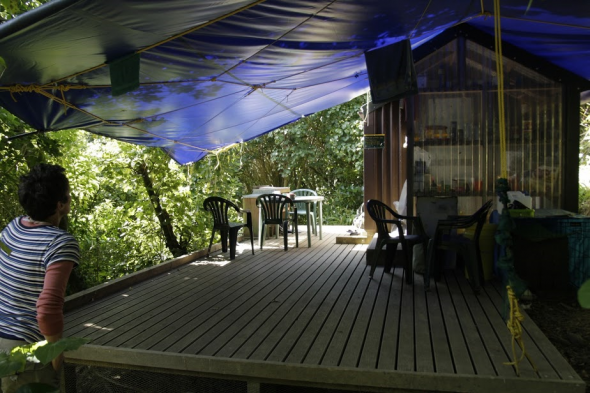 The research hut at Motuara Island is equipped for workers to stay, as well as store equipment and food. Photo: Adelie Filippi, copyright Te Papa. Our last day on the island in November was very special, we had VIP visitors from the Picton community join us, and take part in the penguin chick measurements. Dre, Siobain and Lajla had a great day out, and we loved exploring the wonderful natural heritage of their area together. We spent the afternoon exploring the coast of the island to find areas where penguins came ashore and learned how to spot their characteristic guano on the rocks, to help our Picton friends do this in the coastal areas around the town and nearby reserves. The programme is made possible with the support of by Eko-Tours, Cougar Line, Department of Conservation and of course Te Papa, and we’re grateful to families and teachers alike who enabled our young scientists to participate in this year’s research programme. 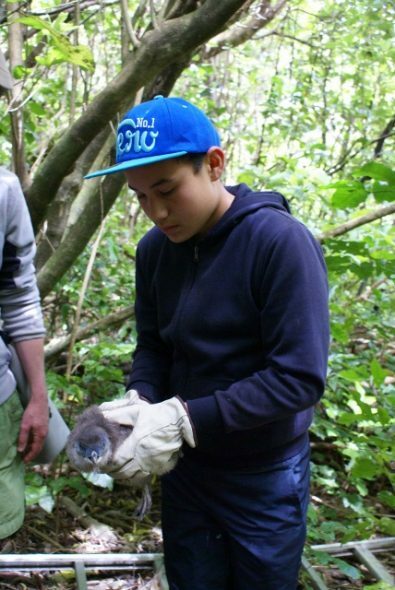 Dre from Picton holds a baby penguin at Motuara Island.